Research from YouGov shows that customers of ‘Sharing Economy’ brands such as Uber and Airbnb, are more open to new ideas and experiences, but this openness presents it’s own challenges. As more consumers turn to collaborative consumption, renting out anything from cars and bicycles to homes and Wi-Fi with peer to peer review systems, the sharing economy movement is growing both in terms of public awareness and government acceptance. 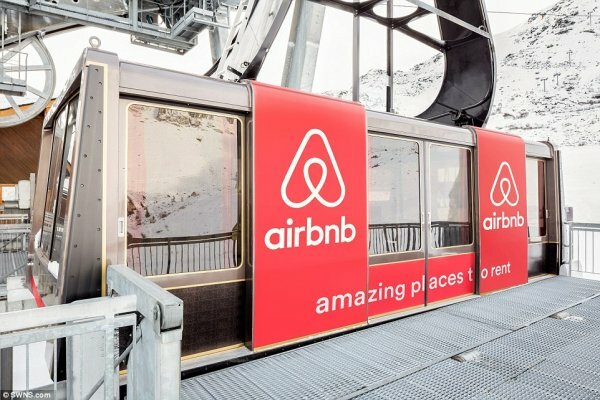 Although most users are young people in big cities, some brands have successfully disrupted entire industries, with Airbnb now reporting 90 million users in 34,000 cities and Uber claiming to average one million rides per day. It’s clear that these brands have the potential to permanently alter the world and become prevailing features of the economy, but new research from YouGov shows that these new giants don’t come without vulnerabilities in their customer base. The data reveals that people who have used either Uber, Airbnb or Lyft within the past 90 days are far more open to risk and adventure than the general public. They also have a stronger penchant for seeking out new challenges and surrounding themselves with diverse cultures and ideas – perhaps explaining why they became users in the first place. With these tendencies, however, come certain stipulations, as a group defined by their openness to new ideas also exhibits less brand loyalty. 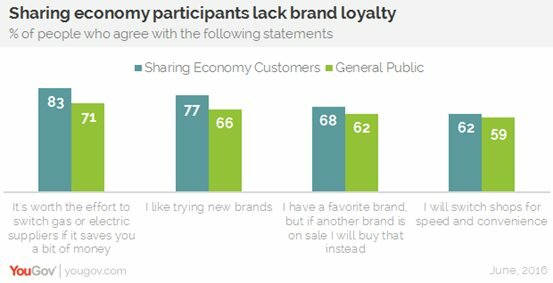 The YouGov profiles show that sharing economy users were more likely than the average person to switch brands for speed and convenience, or to save money, even if it meant using an alternative to their favourite brand. All in all the research demonstrates that while sharing economy brands have benefited from their users being quick to abandon convention, that means they won’t hesitate to try a competitor or new concept when one shows up.